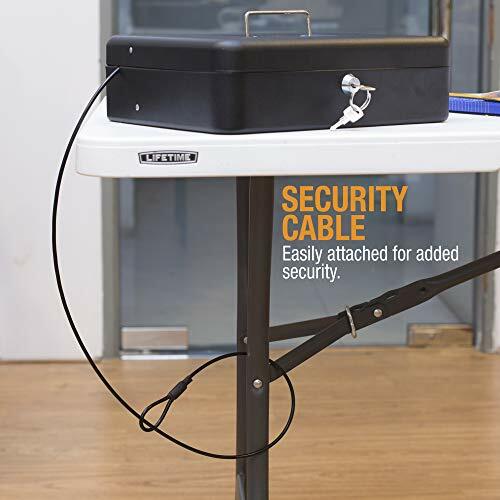 ✔️SECURITY CABLE INCLUDED FOR EXTRA SECURITY- Cash locker includes the highly durable and convenient security cable to further add extra protection and gives you a piece of mind. 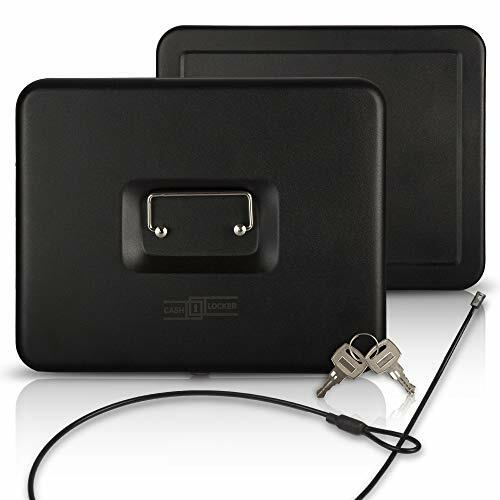 Cable is easily removable, and can be attached to any stationary object. 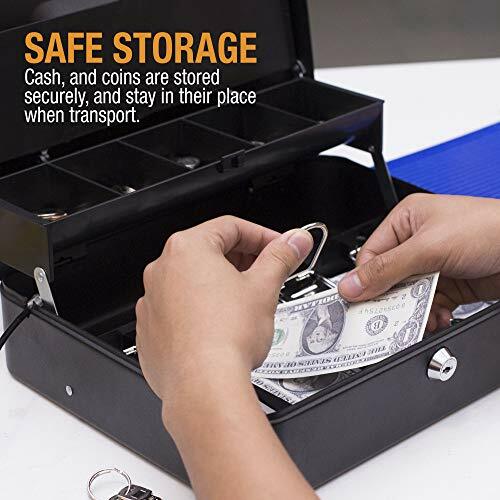 The extra storage space in rear of cash box is great for large bills, checks, or other items to be stored safely out of sight. 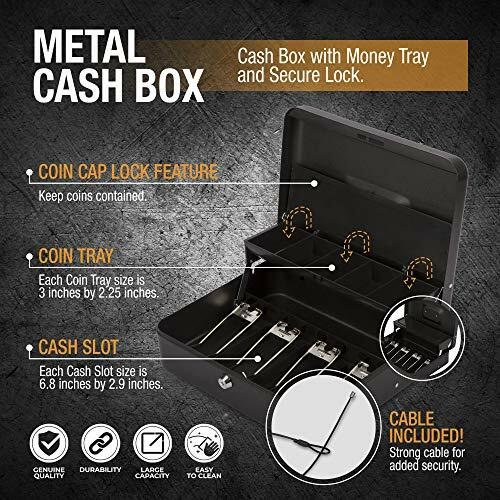 ✔️LOCKING CAP ON COIN TRAY FEATURE INCLUDED-Five compartment cantilever coin tray with coin tray cover keeps your coins securely in place if the box is tipped over during transport or during daily use. 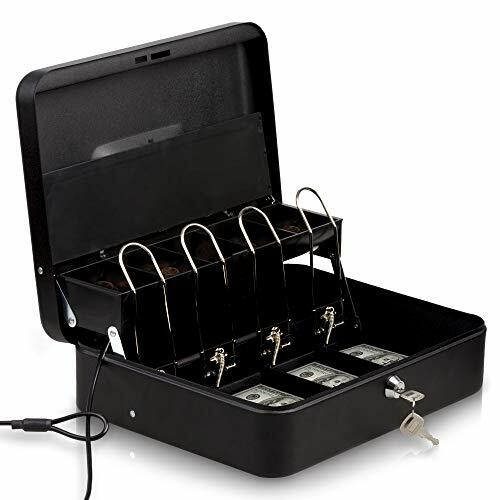 Four spring loaded clips to keep cash securely in place and make it a breeze to get customers change. 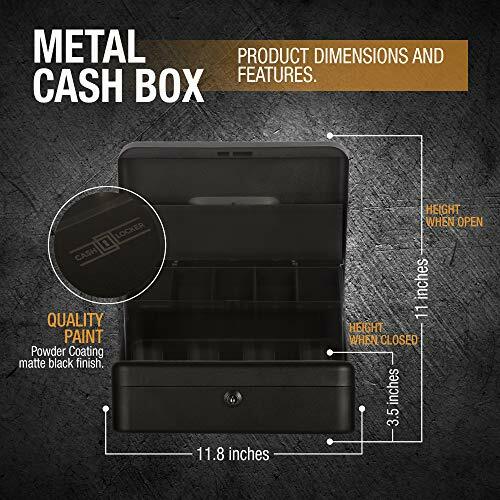 ✔️EXTREMELY DURABLE- Made of heavy duty cold rolled steel and industrial strength rivets that ensures the cash box will keep all your contents protected and safe. The durable powder coated finish is easy to clean. 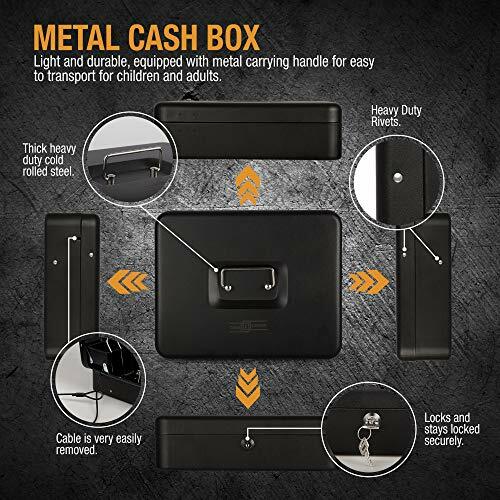 Cash box will stay locked and closed even when dropped. 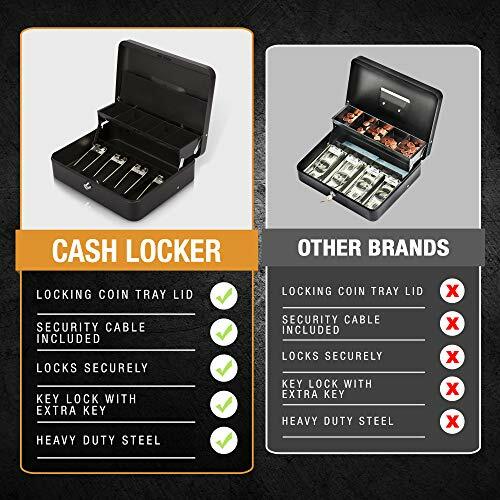 ✔️KEY LOCK AND CARRYING HANDLE-Large, petty cash box includes two privacy keys to keep cash and contents safe. Equipped with a convenient fold away handle for easy transport for children and adults. 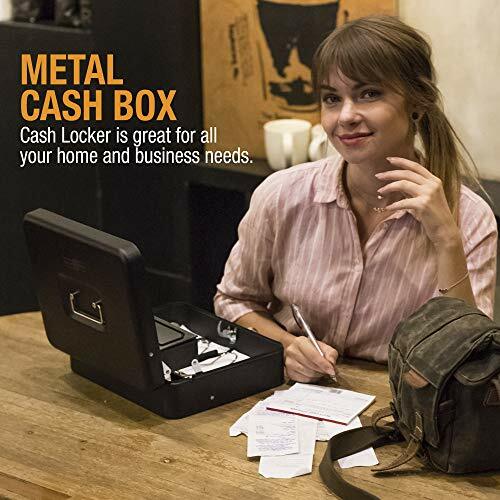 This cash box is ideal for both home and business needs. ✔️100% MONEY BACK GUARANTEE- If for any reason you are unhappy with our product we will refund you, no questions asked!